Why Choose Home Inspection by O'Leary? Home Inspection by O'Leary is NOT A FRANCHISE. It is a local business serving the Pittsburgh, PA and Greensburg, PA areas. From personal experience, I know how frustrating it can be to call a business and get an answering machine or answering service. Therefore, all my calls forward to my cell phone, so I can personally take your call. I respond to all inquiries honestly and in plain English. 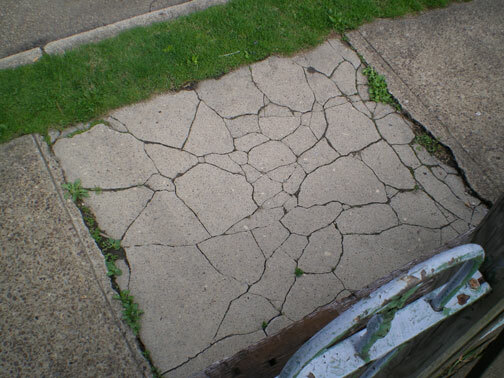 I don't scare people with home repair horror stories. I don't blow loose door knobs out of proportion, nor do I imply a lake in the basement is "no big deal." The problem is what it is, and I'll make sure it's in your report. You'll receive that report via email, fax or US mail (whichever you prefer) in a few days - no longer. Allow me to take this opportunity to thank you for visiting my website. If you're looking for a franchise-type company, you've come to the wrong place. 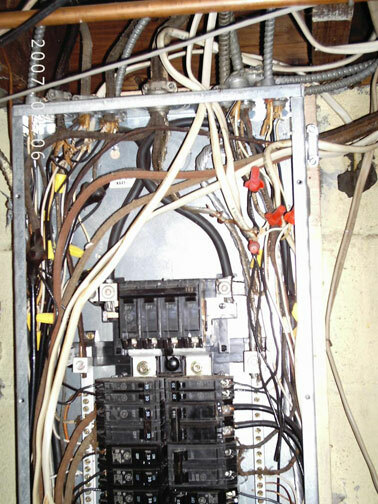 As I mentioned above, if you're looking for a local, family-owned business, run by a person who answers his own phone, has over 30 years in the building trades, is fully insured and certified, plus can be reached long after your home inspection for any other questions that may pop up, you've come to the right place! As a life-long Pittsburgh, PA native, with over 30 years experience primarily in the residential home industry, I have developed the extensive knowledge necessary to provide Certified Professional Home Inspections for home buyers, home sellers, and Real Estate professionals. Choosing the right home inspector can be difficult. Unlike most professionals, you probably will not get to meet me until after you hire me. Furthermore, different inspectors have varying qualifications, equipment, experience, reporting methods, and yes, different pricing. One thing for sure is that home inspections requires work. Ultimately, a thorough house inspection depends heavily on the individual inspector's own effort. If you permit me to inspect your new home, I guarantee I will give you my very best effort. I am not a graduate of a 6 week home inspection training course. I am a graduate of 30+ years in the home repair / building trades, which I hope speaks for itself. Many home inspectors in the Pittsburgh and Greensburg areas advertise on concierge lists and inspector wheels and may pay a fee to be on those lists in order to be referred to potential buyers. I feel this presents a conflict of interest: Rest assured, if you find me on someone's list, I did not pay to be there. 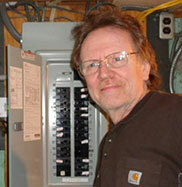 If you choose to hire me, Tim Oleary, for your home inspection, YOU are my client. I will have your best interest at heart and will be very thorough with my inspection. This will allow you to feel confident about your purchase. 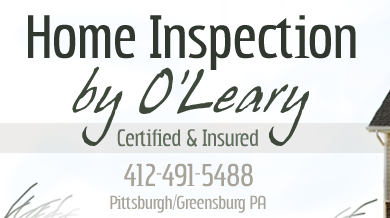 If you have any questions for a professional home inspector or would like to speak with me about scheduling a home inspection for your Pittsburgh or Greensburg home, please don't hesitate to call me at 412-491-5488. I look forward to helping you buy your new home with confidence! "Tim was so friendly and so flexible! He explained everything in easy to understand language and I felt comfortable to ask "dumb" questions. He told us to call/email him at any point in the future if we needed advice or additional information regarding our home and future repairs, etc. The listing agent also had great things to say about him. We received our inspection results in a little over 24 hours via email! He's the best!"